We’d love your help. Let us know what’s wrong with this preview of In the Country of Shadows by Cindy Brandner. From the author of the award-winning Flights of Angels comes the fourth book in the Exit Unicorns series. Desperate to find her missing husband, Pamela Riordan makes a devil’s barga From the author of the award-winning Flights of Angels comes the fourth book in the Exit Unicorns series. To ask other readers questions about In the Country of Shadows, please sign up. 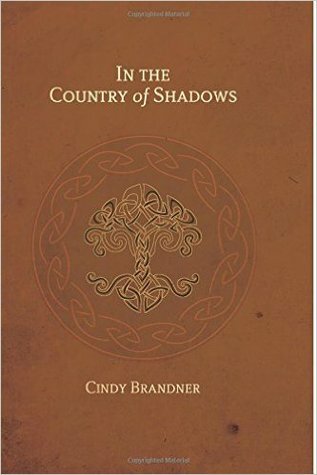 If you are in need of actual physical proof that author Cindy Brandner is an expert in the art of storytelling, look no further than her latest piece of literature, In the Country of Shadows. In the Country of Shadows is the fourth installment of the Exit Unicorns series, so I promise not to give too much away (my book reviews are all spoiler-free anyway), but I will say that tensions are high, and broken hearts cannot be so easily mended. When I started In the Country of Shadows, I was pleased If you are in need of actual physical proof that author Cindy Brandner is an expert in the art of storytelling, look no further than her latest piece of literature, In the Country of Shadows. When I started In the Country of Shadows, I was pleased to see that Ms Brandner had not lost her magical ability to spin stories together in order to create a literary masterpiece. What I didn't expect was to be so emotionally destroyed, I was incapable of starting a new book for several days after I finished it. I was emotionally destroyed in a good way, of course, in a way that only a true author is capable of accomplishing. This book left me breathless, wrung out, and entirely overwhelmed in every way possible. Cindy Brandner has broken my heart, pieced it back together, and broken it again with her words. I may say this every time I finish a new book of Ms Brandner's, but I'm confident in saying now that In the Country of Shadows is, by far, my favorite book in the Exit Unicorns series. Ms Brandner has completely outdone herself with this latest installment of Pamela, Casey, and Jamie's story. This series gets better and better with each book. Cindy Brandner is incredibly talented and, honestly, I can't really find fault in this book. It has just the right balance of mystery, suspense, romance and action. When I was about half finished with the novel, I couldn't believe how many story lines she had opened up and she ties everything together beautifully by the end. I could not put this book down. I have been waiting for this book since I devoured the third one last August, and this did This series gets better and better with each book. Cindy Brandner is incredibly talented and, honestly, I can't really find fault in this book. It has just the right balance of mystery, suspense, romance and action. When I was about half finished with the novel, I couldn't believe how many story lines she had opened up and she ties everything together beautifully by the end. I could not put this book down. I have been waiting for this book since I devoured the third one last August, and this did not disappoint. Every sentence in this book is perfectly crafted and she has a magical way of transporting me to these places as if I can smell, taste and touch them. She shows her characters' intentions, instead of just "telling me" and it makes me want to reread the series so that I can feel the flow directly from one book to the next. I'm so frustrated! I was in such a hurry to finish (well, not THAT much of a hurry since it took me so long to finish it. When I get home from work in the morning, I'm too tired to read more than a few pages). And now that I'm finished, I feel lost. Another cliff-hanger ending. I loved it, I love the characters, I feel their joy, their sorrows, their pain, and their love, all through your beautiful prose. I can see the lovely panoramic beauty of Ireland and the not so pretty underbelly and back I'm so frustrated! I was in such a hurry to finish (well, not THAT much of a hurry since it took me so long to finish it. When I get home from work in the morning, I'm too tired to read more than a few pages). And now that I'm finished, I feel lost. Another cliff-hanger ending. I loved it, I love the characters, I feel their joy, their sorrows, their pain, and their love, all through your beautiful prose. I can see the lovely panoramic beauty of Ireland and the not so pretty underbelly and back alleys and violent streets of Belfast. I gave this four stars because I am invested in the characters and really like the writing style and story, but my goodness the characters make some TERRIBLE decisions. From a love triangle to a love square? Expect no resolution to the complicated relationships or heart ache from this book. I am just disappointed I have to wait for the next one! First and foremost, brilliant! This is THE BEST kind of book series, where each book just seems to trump the last. Not that they all haven't been FANTASTIC. How rare to stumble upon an author who captivates you like Cindy Brandner with prose that draws you in with all your senses. In the Country of Shadows, we walk with the same cast of characters…Pamela, Casey, Jamie, Patrick…but we also get introduced to a few new members, who steal your heart in ways you never thought possible. No spoilers he First and foremost, brilliant! This is THE BEST kind of book series, where each book just seems to trump the last. Not that they all haven't been FANTASTIC. How rare to stumble upon an author who captivates you like Cindy Brandner with prose that draws you in with all your senses. In the Country of Shadows, we walk with the same cast of characters…Pamela, Casey, Jamie, Patrick…but we also get introduced to a few new members, who steal your heart in ways you never thought possible. No spoilers here, but let me just say if you don’t feel compassion and a special fondness for Noah, then keep reading. You will! And where oh where is Casey, Pamela’s beloved missing husband? And then there is Jamie. Each of these men own either Pamela’s heart or soul. There are twists and turns and plenty to learn historically and glean romantically. The “Irish Troubles” seem to follow, weaving in and out of the story line to make each plot just a little thicker. The ending will leave you satisfied yet clutching tight to the climax that has yet to come. Get ready for a beautiful bumpy ride. You will cry and laugh. I know I did. I love this series more than I thought I would initially. What a cliffhanger ending on this one. I want to read the next one now. I suppose I have to wait until it is written though. Wonderfully written and impossible to put down! I love this series! in some ways this book was my favorite, and in others it was my least favorite. At times it seemed almost as if the author had a great idea for another story and made it fit somehow into this book. Don't let that discourage you though. I am still oh-so-impatiently awaiting the next book. It cannot come fast enough! I soooo love this series!! This book is riveting, moving and emotional. I did not want it to end, but could not stop reading. If you love books that carry you away from this land, then this book is one to read. I hope there is more for these characters, I feel shorted by the ending. My husband laughed when I yelled, "no!" at the end. Great book, Great series, and wonderful author. I love this series of books however the plot of this one dragged out for too long and aahhh I'm frustrated with the end. I know there will probably be another book but this is NOT how I want to be left . Wonderful and terrible! Another cliffhanger. I’ve thoroughly enjoyed this series, and regretfully it has ended. I would like to see another book!!! Put Casey and Pamela back together,please! 4.5 but I will round up! Enjoyed the continuation of the story. Of course, there is enough unresolved to merit another book! It's hard for me to verbalize how much I love this series of books. I simply could not put them down. I am a huge Outlander fan, and the Exit Unicorn series is right up there as far as the quality of writing and story line. I highly recommend them. The ending of book 4 leaves me to hope for a book 5. PLEASE? "In the Country of Shadows" is the 4th book in the "Exit Unicorns" series. Cindy Brandner is an absolutely wonderful author. All of her books in this series have been extraordinary. Her descriptions of the Irish countryside, Irish homes and the horrible time for the people in Belfast are right on the mark. The choices Pamela has to make to keep herself sane and her children safe are not always the wisest but she does what she has to do. Jamie, Patrick and Casey are all back and bringing their ow "In the Country of Shadows" is the 4th book in the "Exit Unicorns" series. Cindy Brandner is an absolutely wonderful author. All of her books in this series have been extraordinary. Her descriptions of the Irish countryside, Irish homes and the horrible time for the people in Belfast are right on the mark. The choices Pamela has to make to keep herself sane and her children safe are not always the wisest but she does what she has to do. Jamie, Patrick and Casey are all back and bringing their own "stories" to the book. The last page of the book is absolutely wonderful. It foretells the beginning of the next step in life for the Riordans. I'll be awaiting with much anticipation book #5. What an ending! What a book! I have just finished because I had to reread the other 4 books first before I could start this one. I honestly do not know how a book can make me feel so many different feelings in so short of a time. I laughed out loud, I cried... a few times, I had to put the book down I was so angry, I was scared, not to mention a few other emotions as well. All I know is that if Jamie is half as good of a story teller that Cindy is I would listen to his stor NOOOOOOOOOOOOOOO!!!!! In the Country of Shadows, Cindy Brandner’s fourth book in the Exit Unicorns series, is edgy, unflinching and heart-wrenching. In many respects, this is Pamela’s story. Faced with Casey’s disappearance and Jamie’s return to Ireland, she is forced to make difficult decisions to protect herself and her family. To what lengths will she go to find out what happened to Casey? How long can she hold on to the slim hope that he is still alive? And, if so, where is he – and why? What about Jamie? How wil In the Country of Shadows, Cindy Brandner’s fourth book in the Exit Unicorns series, is edgy, unflinching and heart-wrenching. In many respects, this is Pamela’s story. Faced with Casey’s disappearance and Jamie’s return to Ireland, she is forced to make difficult decisions to protect herself and her family. To what lengths will she go to find out what happened to Casey? How long can she hold on to the slim hope that he is still alive? And, if so, where is he – and why? What about Jamie? How will his role in her life be affected by Casey’s absence? With steely resilience, Pamela forges a path through a dark and frightening landscape. This is storytelling at its best, written with depth and beauty, and reminiscent of the late, great Dorothy Dunnett. I love each and every book in this series, and this book - so full of twists and turns- is just as wonderful as it's predecessors. Heartbreaking and lovely in turn, if you enjoy books with a lot of substance and complex character development, you will not be disappointed. But read them in order. The cliffhanger ending left me feeling bittersweet, and I am impatient for the next installment. I enjoyed Cindy Brander's writing style. I also connected very strongly with the characters and their dilemmas. Next to Diana Gabaldon's Outlander series I think this is one of my favorites. It is all encompassing: history, drama, human emotion, violence (sadly), love (gladly), magic, dynamic action, so it's an I-can't-wait-till-the-next-book-comes-out read. Loved it! The best in the series so far. I was sad after finishing because I don't know how I will wait for the next installment. I never go to sleep without reading, but, last night I couldn't bring myself to read anything else as I knew it would just be a disappointment after this beautiful story. This is the second time I have read this book and I can't wait for the next. cindy Brandner had me in tiers more than once. Poor Pamela just one thing after another happens to that poor woman.....some terrible times and some lovely times. She needs Casey o come back is what she needs. Then poor Jamie, is the same way. You have to read this series it is just fantastic! This is the fourth in Brandner's "Exit Unicorns" series. A complicated plot reveals more of the duplicitous violence in the history of Ireland. This installment continues the story of Pamela and Casey Riordan and their friend James Kirkpatrick. Wonderful fourth installment to this series! Something I particularly love about this author's writing is that she manages to have extremely interesting characters and keep the story going at an exciting pace at the same time. Another great story by Cindy! The fourth book in her Exit Unicorns series. I absolutely love her books! She has a way of telling a story that makes you feel you are right there with the characters. Already waiting on the next book, in the meantime I will definitely be rereading these. This story pulled me right in like a dear friend I hadn't seen in years! Laughed and cried and savored every word! Didn't want it to end and I'm ready for more! I love well written stories!